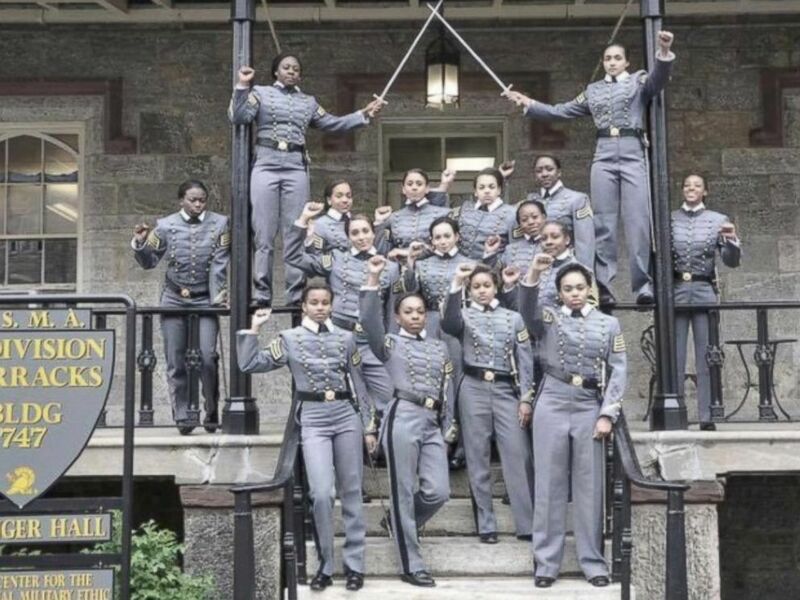 A photo showing 16 African-American female cadets raising clenched fists has sparked controversy at West Point’s elite military academy. The women reportedly took dozens of photos to celebrate their graduation, but the one featuring the fists, posted to social media several weeks ago, has gotten the most attention. This undated image obtained from Twitter, May 7, 2016, shows 16 black, female cadets in uniform with their fists raised while posing for a photograph at the United States Military Academy at West Point, N.Y.
West Point officials are now investigating whether the image violates academy rules that restrict political expression while in uniform. The raised fist, which has long been a symbol of unity for African Americans, is also associated with the Black Lives Matter movement. The New York Times reported that the 16 cadets in the photo represented all but one of the black women in West Point's 2016 graduating class of about 1,000. Defending the young cadets is Brenda Sue Fulton, a 1980 West Point graduate, former Army captain, and chairwoman of the U.S. Military Academy’s Board of Visitors. “When I spent time with these cadets and heard them tell their stories and laugh and joke with each other, there’s no doubt in my mind how much they love West Point, they love the Army and they support each other,” Fulton told the Army Times. She tweeted out a different photo of the women without raised fists with the caption, “THIS. Fearless, flawless, fierce. Ready.” That tweet was then retweeted by Patrick Murphy, acting secretary of the U.S. Army. The women graduate from West Point on May 21.